For most of the 90's the band continued to function on a part time basis touring once a year, but ramped up activity in the second half of the decade with 2 studio albums and celebrating 25 years with a big London reunion concert - 'The Journey' featuring almost every previous band member. 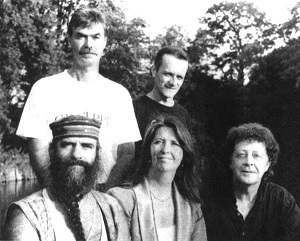 Band wise it was a settled period with Gay Woods rejoining the band to help Maddy out with some voice troubles however, Maddy Prior finally leaves 'the bus' after 28 years in 1997. 7th February: 'In Concert' on BBC Radio Folk on Two'. Repeat of 1989 Fairfield Hall concert tracks, maybe different tracks though. 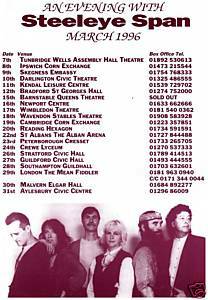 1st May & 9th June: Regional ITV: 'Bedrock' Steeleye Span concert. Later released in various guises on Video/CD/DVD as the 20th Anniversary concert from Sept 1989. See 1989 for footage. 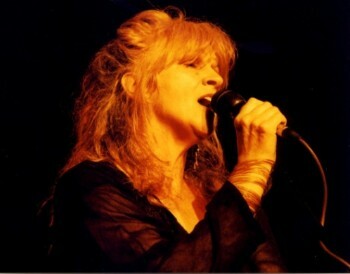 The two had started to tour together in the late 80's and were continuing to do gigs during early 1990 and then toured in October after the Steeleye September tour to support their new album 'Happy Families' , released in September on the newly launched Park Records, set up by John Dagnell basically for Maddy. More touring by Rick and Maddy as a duo. Set list as per Live CD. 9th Oct: BBC Radio 2 'Folk on Two . Listed as featuring but no details. 10pm-11pm. Taken from the Buttermarket, Shrewsbury concert above. Obviously going to be almost identical to Tonight's the Night Live cd. 18th July - 1st Aug. Henley Festival. Included Steeleye at some point. 8th July: BBC Radio 2 'In Good Voice'. The first of a six-part series in which Maddy Prior of Steeleye Span explores the world of unaccompanied a cappella singing. Ep. 1 What is A Cappella? FIFTEENTH ALBUM: Tonight's The Night (Shannachie - US record label) . A live album but contains so many new songs (6 out of 12) that it sits in the discography as a main album release in my view. With so much new material you get the sense that a studio album was planned, but for whatever reason never happened. Peter Knight was not happy with Shannachie as Fighting for Strangers and Gentlemen Soldier were linked with a Tim/Peter instrumental and were meant to played as a medley but got split on the album. They played them as a medley on the 25th Anniversary Video. 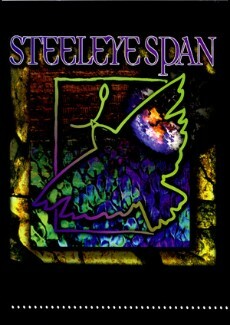 10th: UK GOLD TV: Steeleye Span 'In Concert' No details but likely to be the 20th Anniversary concert,again. Tim Hart: Raining in my Heart; Cornla; My Love; Dancing at Whitsun; The January Man; New York Two Step; Seamus the Showman. 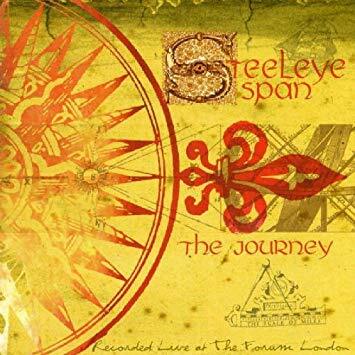 Steeleye: Jack Hall; The Weaver; Black Jack Davy; Gone to America; Long Lankin; Eb English; I live not Where I love (Maddy , Peter & Tim); Sorry the Day I was Married (Maddy and Tim); Tam Lin; Picnic; Padstow; Cam Ye O'er Frae France; All Around My Hat; Mason's Apron; Gaudete. 11th Easington Music Festival, Durham. Petedee College. Band Signs to Park Records. . Have been with them ever since. 19th . ITV 'Cue the Music' Steeleye Span. In Concert. No details but likely to the 20th Anniversary concert again. The bands 6th tour of Australia although this tour is at smaller venues. 3rd Aug & 14th Sept: BBC Radio 2: 'Cambridge '94. Steeleye Span in concert at Cambridge Folk Festival. Hosted by Ralph McTell. Seagull; Black Jack Davy; The Weaver; Jack Hall; Padstow; Cam Ye O'er Frae France. Exact date unknown: BBC Radio 'Folk On Two. 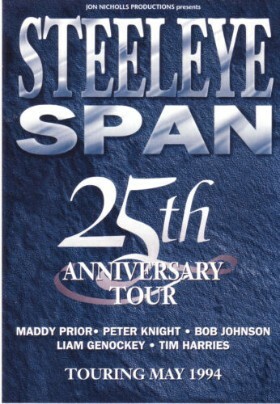 Interview with Bob Johnson (who stepped in for Maddy Prior) discussing the first 25 years of Steeleye Span. Talks about Gay joining the band, possibly when it was 'announced' and mentions the upcoming tour so I am guessing about October. Tracks Played: All Around My Hat; Blacksmith; Female Drummer; Gaudete; Thomas the Rhymer; Black Jack Davy; Gone to America; Padstow; Tam Lin (Info thanks to Chris Kellet's archive site. See Links). GAY WOODS (Vocals) joins the band . 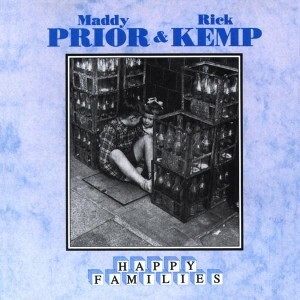 To help out sharing the work load with Maddy who had vocal problems (from 1993). 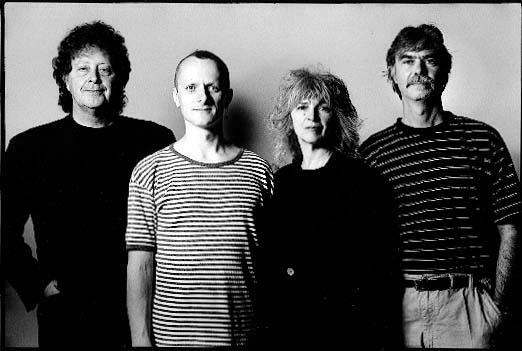 Rick Kemp said it was his idea to ask Gay back, for the Winter Tour initially, and then after that went well, Gay became part of the band full time. 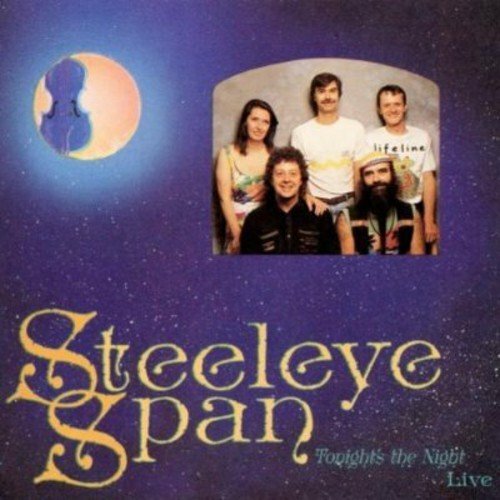 LIVE ALBUM: Steeleye Span In Concert. (Park Records) Taken from shows in 1986 and 1994, no more recordings from either show have appeared since. 25th Anniversary video recorded. Support: The Blind Fiddler. The Lowlands of Holland was a very haunting version with mainly Violin and Keyboard. Gentleman Soldier/Fighting for Strangers; We Poor Labouring Men; Seagull; Eb English; Tam Lin; The Dark Eyed-Sailor; Lowlands of Holland; Padstow; Picnic; Jack Hall; All Around my Hat; The Masons Apron; Let her Go Down. 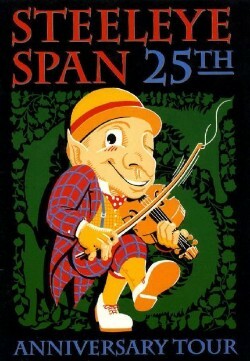 1995: Live Video: '25 Live' released, Recorded 1994, video above. 6th May BBC Radio 2 Concert: Octagon Theatre, Yeovil. Broadcast on this date but not sure about date of recording (It includes Gay) . On the above tour seems the most obvious. A Bootleg exists and its always dated 1994. I think this is incorrect unless it was a one off concert recorded for the radio, which seems unlikely. The track listing, with Harvest of the Moon also points more to 1995 than 1994.
the Rhymer; All Around My Hat. 2nd Sept 'The Journey Concert' The Forum Highgate, London. Originally billed as the 'War Child' Charity concert, it featured every ex member apart from Terry Woods. It was the idea of actor, Dave Hill, who asked them all to do it individually, but suspects they only each agreed assuming enough of the others would refuse so that it didn't actually happen! Each line up ran through 5 or 6 songs which means it was the closest we would get to seeing the original line up live. Not released as a CD until 1999 by which time it was known as 'The Journey' concert, possibly because the tour after this concert was billed as 'The Journey Continues'. A video was recorded, but as you can see from the one song released by Park Records the quality was not really good enough for a DVD release. For full details of this concert and resulting CD, see Mainly Norfolk website, a link is HERE. 12th April SIXTEENTH ALBUM: TIME (Park Records). 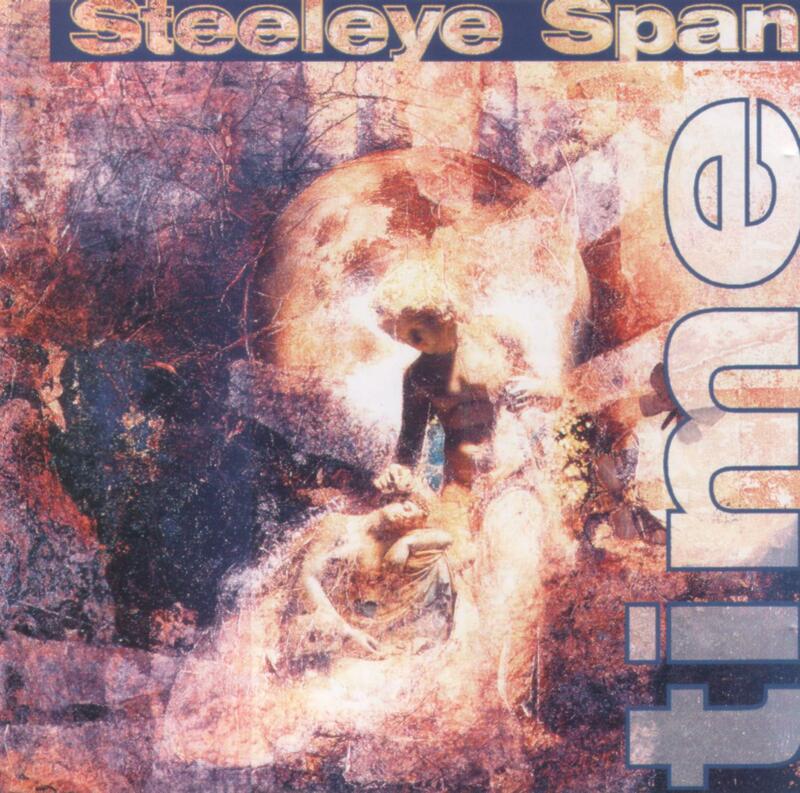 The first Studio album for 7 years - the longest gap between any studio album in 50 years of Steeleye. Marking the return to a more full time' basis and a more modern polished sound having been reinvigorated by the 'Journey' concert and the return of Gay . It had mostly Traditional arrangements with a three Peter Knight originals. An outtake from the recording sessions - 'The Golden Vanity' has appeared on various collections. Along with Bonny Moorhen and General Taylor the only known studio album outtakes to be released. 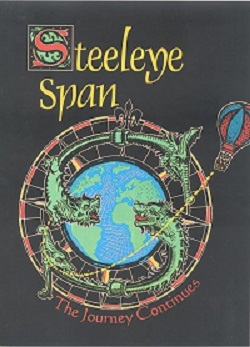 It sneaked Steeleye back into the charts at No.100, 1st since Rocket Cottage. (7+ dates. Probably Dates Missing. 7th Tour of Australia). Winter Tour Supporting Status Quo (16 dates). The first major Stadium UK tour the band has done as a support act. Status Quo released 'All Around My hat' as a single , featuring Maddy Prior. At the end of each concert Maddy would join Quo for the song, a video of which is below, which surprisingly is not too bad. Steeleye did not perform 'All Around my Hat' in their support act, but finished with a very upbeat 'Old Maid in the Garrett. One song was released on the 'Sails of Silver' Park records CD reissue which means a recording of the whole set must exist. Maddy even joined Quo on 'Noel's House Party' (video below). 22nd Plymouth Pavillion, re arranged from 11th. The busiest year of the decade but Maddy Prior and Liam Genockey leave the Bus at the end of the year. 13th Bruges, Stadschouwburg Broadcast on Belgium Radio. Set list is what was broadcast, so not complete. Gaudete; Thomas the Rhymer; Cadgwith Anthem; My Johnny Was a Shoemaker; The Lark in the Morning; Wee Weaver; Twa Corbies; Padstow; Old Maid in the Garrett; All Around My Hat; Jigs. UK Spring Tour (21 dates non stop!). Tour included never recorded songs 'Brigg Fair' & Room for Company. Hard to find even on Bootlegs. However, Thomas the Rhymer from this tour is on the 'Sails of Silver' CD reissue so there is a good chance the two are available in the Park Records Vaults. Support: 'Rock Salt n Nails'. This tour also has the dubious honour of having Peter Knights Lightbulb joke told each night " How many folkies does it take to change a light bulb? Ten - One to change the bulb, four to sing about the old bulb, and five to walk out because it is electric." Maddy Newsletter - Working on new material for an album later in the year or early next year, but never happened of course as Maddy left. 1st for 10 years. 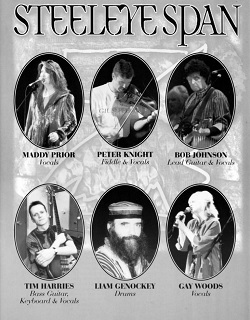 Snappily billed as "The long-awaited history-making North American concert tour of the reunion of Steeleye Span"
19th: Maddy Prior announces she will leave the band at end of year.
" 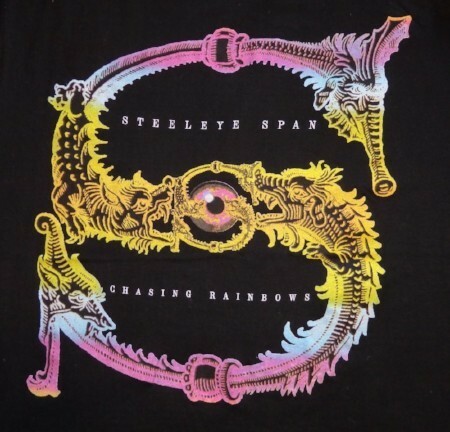 I have worked in, and enjoyed enormously, working with the band Steeleye Span for 28 years. People have often asked me how I manage to fit in all my various musical activities. I have juggled Steeleye, 'solo' work, assorted projects, the Carnival Band and a demanding home life for some time. With mixed success. Finally I feel a decision has to be made, and having been the only one to have never left the band, I've decided to view it all from the outside for a change. 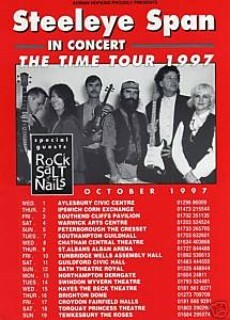 So from the end of the October Tour 1997 I shall cease to work with Steeleye. Whether this will ultimately result in a permanent separation, I don't know. Having done a massive 44-day Farewell Tour in 1978, I feel less confident about making dramatic and irrevocable gestures in these more mature years. 8th Olympia festival, National Hall, Real Ale Festival. Prickly Bush' Room for Company; Harvest of the Moon; My Johnny was a shoemaker; The Elf Knight; The Fox; Erin Groe; Padstow; [Interval] Cagwith Anthem; Lark in the Morning; Twa Corbies; Seagull; The Water is Wide; Cutty Wren; Thomas the Ryhmer; Old Maid in the Garrett; Encore: All Around My Hat; Jigs; Gaudete. 20th CC Deurre, Antwerp, Belgium. From the Tewsksbury concert, the last one: 1) Prickly Bush. 2) Room for Company. 3) Harvest of the Moon. 4) Ireland Love of My Heart. 5) Elf Knight. 6) My Johnny was a Shoemaker. 7) The Weaver and the Factory Maid (just on last night). 8) Padstow. 9) Go From My Window. 10) Cam Ye'. 11) Twa Corbies. 12) Seagull. 13)Water is Wide. 14) Cutty Wren. 15) Thomas. 16) Old Maid. 17) Hat. 18) Jigs. 19) Gaudete. Liam Genockey (Drums) leaves the band. No reaons given for his departure, but he did return when Maddy did. No replacement joined the band but rather Gerry Conway and Dave Mattacks were used in tours. Maddy Prior leaves the band and goes straight into Solo Tours in October.
? Castelnuovo nei Monti, Italy. Uncertainty about the year. 18th: Maddy Prior presents 'In Good Voice' a series on BBC World Service about signing. SEVENTEENTH ALBUM: Horkstow Grange. (Park Records) . The first Steeleye Span album not to feature Maddy Prior which turns out to be probably the most acoustic album since Ashley and Martin left. Bob Johnson plays the acoustic guitar on a number of tracks. Although as usual the arrangement are very much Steeleye Span, the songs are all traditional songs apart from track one which was 1920's and written by Johnny Patterson. 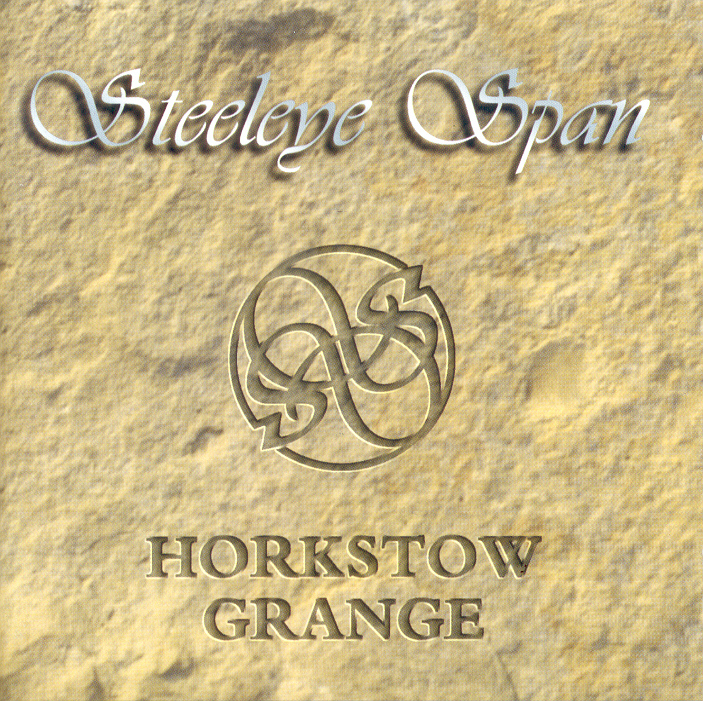 The song 'Horkstow Grange' is where the name John 'Steeleye' Span originates from. 1. The Old Turf Fire; 2.The Tricks of London. 3. Horkstow Grange. 4. Lord Randall 5. Erin. 6. Queen Mary/Hunsden House. 7 Bonny Birdy. 8. Bonny Irish Boy. 9. I Wish That I Never Was Wed. 10. Australia. 11. One True Love .12. The Parting Glass. (19 Dates). 1st UK tour since Maddy Left, Dave Mattacks on Drums but not full time member. Long Lankin returns to the set after a long absence but the rest of the set is predictably drawn from the new album and songs from previous tours. 2nd Nettlebed "One of a 'handful' of warm up dates before 30th Anniv tour"
? Ebbw Vale. I was there but cannot remember the date. Autumn 30th Anniversary UK Tour (24 dates). Gerry Conway was on drums, virtually 30 years after he appeared on Hark! as a guest drummer. 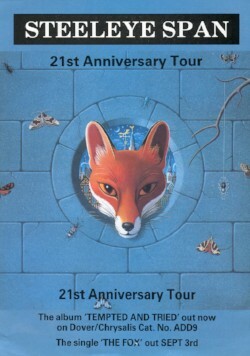 I think this was the tour that "Paul Clarvis also worked with us on a few gigs" per Peter Knight, talking when Gerry joined on a tour that Dave couldn’t make. This tour was recorded and filmed (Croydon), and according to Peter, to a good enough quality to release. However, due probably due to major line up changes in 2000/01 it never made it as a release. Another one for the box set. The Set list introduces Well Done Liar from the next album as well as 'Stuttering Lovers' which did not make it to the next album so remains unreleased and is only available on poor quality bootlegs. Finally a recording of the 1995 concert made is way onto a double CD. Gay Woods commented later that rework was needed on many of the tracks to make it good enough for release. Gay mentioned Maddy's vocals needed some overdubbing, which of course would have been understandable given the vocal problems she was having at the time.